Evolution is the secret for the next step. Back in December, I wrote about the unoriginal concept of perpetually repitching my foraged yeast into future batches of farmhouse ales. The project, aptly named the Evolution Series, seeks to embrace the natural, spontaneous mutations within yeast over numerous fermentations. 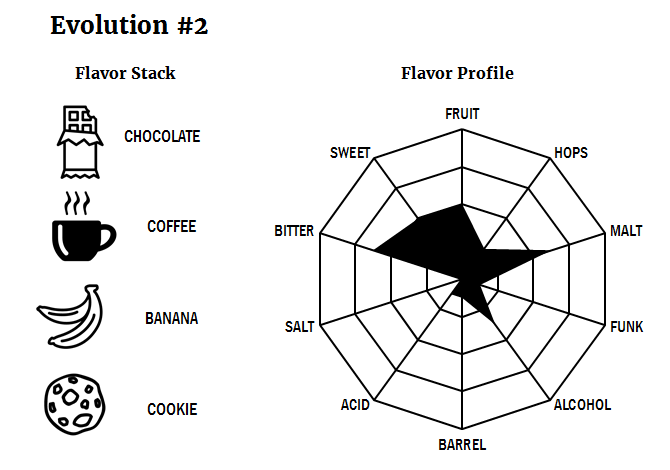 Details (including tasting notes) about Evolution #1 were covered in December. 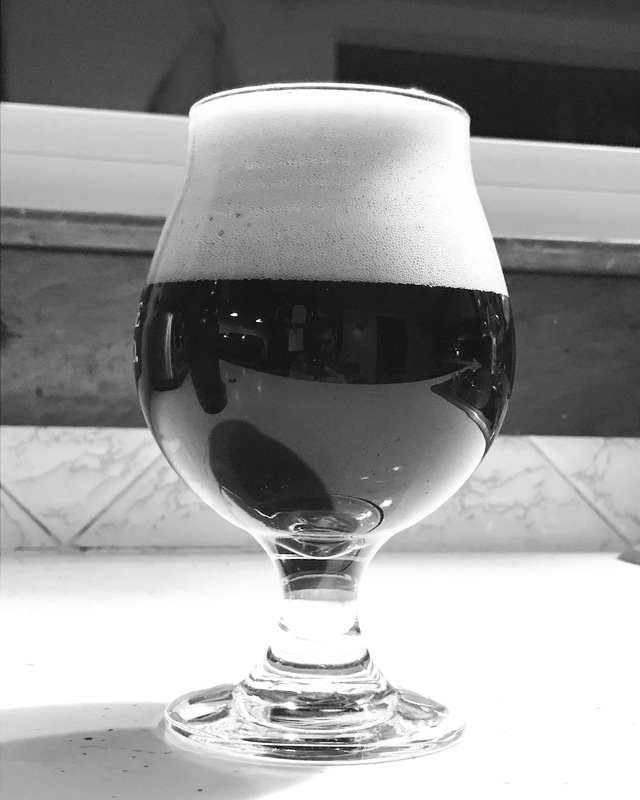 TL;DR: it was one of the best farmhouse beers I have made to date. And much like the first iteration, Evolution #2 was born from an extra gallon of wort. This wort composition, however, was black-and-white different from Evolution #1, literally. The excess wort was from a 10-gallon batch of Jamil Zainasheff’s McQuaker Oatmeal Stout. I thought it would be fun to evaluate my foraged house yeast in a dark, rich beer with a full-body and substantial chocolate and coffee notes. Plus, it spared me a separate 1-gallon brew day! In keeping up with the theme of borrowed wort, Evolution #3 came to be following a brew day in December for Continuum, our farmhouse ale solera fermented with our foraged house yeast and house bugs. Evolution #3 was bottled within the last few weeks and the yeast was once again harvested for June’s batch of Evolution #4. This next iteration will combine pilsner, rye, and Idaho-7 hops with lemon zest, juniper, cardamon, and coriander to create our fun interpretation of a spring table ale. Since work approved my relocation request, I have gone back and forth on whether to retire my foraged New England yeast. Fortunately, the Evolution series has made this decision easier – these beers will continue to showcase the evolving New England yeast while I qualify foraged Mountain West yeast. In this sense, the Evolution series will serve as the living connection between Third Leap and New England, for now. Back to the Evolution #2 tasting . . . Appearance – The beer pours a gorgeous, opaque, jet-black color with ruby highlights. The aggressive carbonation that was noted in the neck of the bottle transforms into a three-finger-tall, cappuccino tinted head. Smell – The familiar aromas of my house yeast (overripe banana peel and spicy clove) are met with scents of chocolate milk powder and hot cocoa froth/foam. Taste – Unmistakably, the first sip evokes cold brewed coffee and bitter chocolate/orange zest. As the beer warms, raisins and burnt cookies become more noticeable. The back of the palate is overwhelmed with bitter chocolate. Mouthfeel – A pleasantly high carbonation level (3.0 volumes) works together with the highly attenuative yeast to produce a dry finish. On the tongue, the beer is prickly and warming. Overall – Despite the yeast taking a back seat in this iteration, I enjoyed this beer. The Farmhouse Stout name is misleading, since it lacks the velvety, sweet characteristics of modern American stouts. Instead, the beer is almost more like a Belgian Dubbel – easier on the palate, and not exhibiting supreme depth of flavor. There is a subtle astringent clashing between the dry finish and bitter malts. Changes for Next Time – This one would certainly benefit from amplification of the chocolate and coffee notes. If I were to rebrew this, I would incorporate cacao nibs and coffee beans in secondary. These ingredients will not only contribute to more flavor complexity, but also help improve mouthfeel. Perhaps dialing the carbonation back to 2.5 volumes would help round the beer out as well.